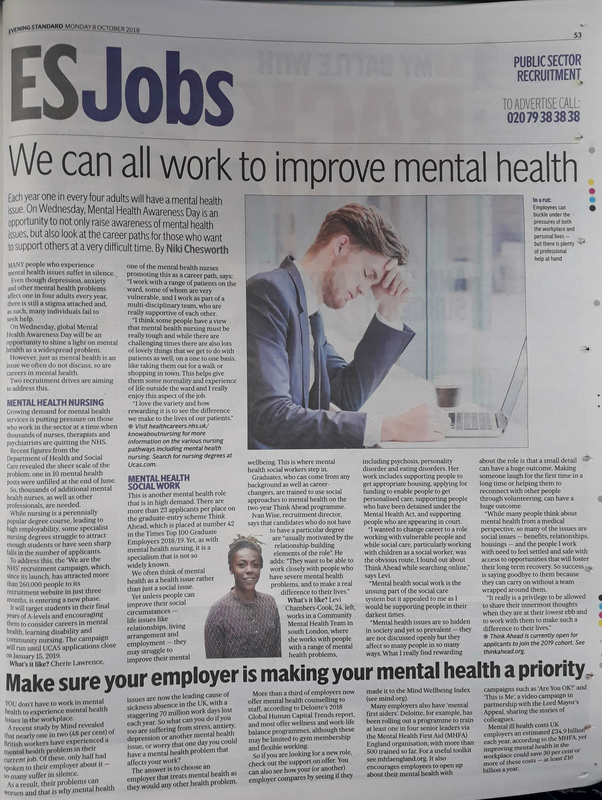 Think Ahead participant Levi (pictured above) has been interviewed in the Evening Standard newspaper about why she chose to train to be a mental health social worker. 24-year-old Levi joined the Think Ahead programme in 2016, and is now one of our alumni. Before joining the programme she worked in recruitment for a pharmaceutical company. She said: “I wanted to change career to a role working with vulnerable people […] I found out about Think Ahead while searching online. Levi now works in a Community Mental Health Team in London, where she supports people with a range of mental health problems, including psychosis, personality disorder and eating disorders. See the full Evening Standard article here (opens in new window). Applications are now open to join Think Ahead’s 2019 Cohort. Find out more and apply now.